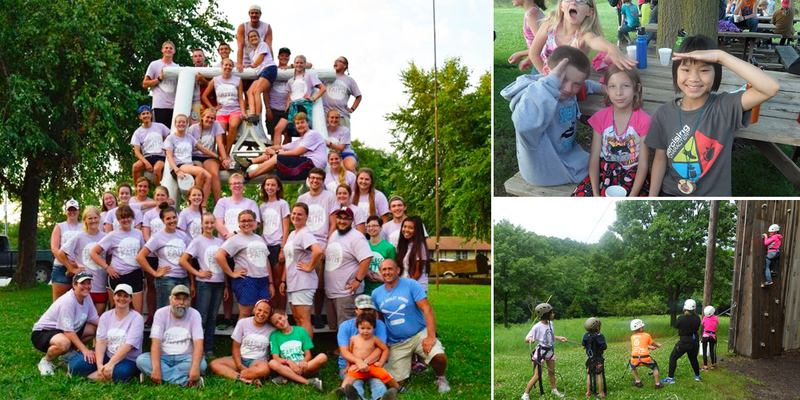 Wesley Woods Camp and Retreat Center is making a positive impact on Iowan’s lives. Wesley Woods’s staff and campers are wearing their custom Camp T-shirts in the photo, above. For 60 years, Wesley Woods Camp and Retreat Center in Indianola, Iowa has hosted thousands of Iowans annually at camps, outdoor education programs, and ministry retreats. Located on 344 acres overlooking spectacular rolling hills and scenic valleys, the campgrounds are open year-around and provide the perfect place to get away and enjoy the beauty of the Heartland. Retreat goers and campers can choose traditional lodging in cabin-style dorms or adventure outpost camping that includes tents, an original Sears & Roebuck Home, tepees, covered wagons, a farm barn, and a rustic log cabin. Wesley Woods is also proud to host camps and retreats for the non-profit organization Amanda the Panda Grief Center (Broken Arrow also makes custom T-shirts for Amanda the Panda as discussed in a previous blog), whose mission is to bring hope and healing to grieving families across the state. Horseback riding lessons and/or trail riding on one of the camp’s 30 resident horses. Outdoor games including basketball, volleyball, ultimate Frisbee and soccer.